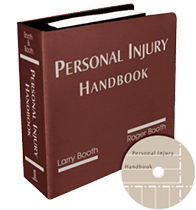 The unique demands of catastrophic injury and wrongful death lawsuits require the experience of a law firm that specializes in these cases. Booth & Koskoff has a proven track record of success, with many seven- and eight-figure settlements and jury verdicts. We invite you to review those results for yourself. Perhaps you’re working with a client who could benefit from our experience. Based on your preference, we can take charge of the case or work together as co-counsel. We have decades of experience handling the most difficult 3rd party cases involving catastrophic injuries and death to workers injured on the job. We have repeatedly had success finding 3rd party liability where other lawyers have not and obtaining large recoveries. We do so without sacrificing our clients' all-important workers' compensation benefits. For more information on our referral program, please contact us. "Through the years I have referred many large or complex injury cases to Booth & Koskoff for their handling. The results have always been outstanding! This is a firm that has the vast experience and the resources to handle large and difficult cases, but is small enough so that the client is never ‘lost in the shuffle’ as sometimes happens with larger firms. You can be assured that this firm will handle your case with absolute integrity, honesty and diligence." "I am a workers’ compensation attorney and have referred Booth & Koskoff several cases over the years when my own client’s work injuries were caused by a negligent 3rd party (someone other than the employer or co-employees). Booth & Koskoff repeatedly has performed extraordinary work and has always obtained excellent results for my clients, in the face of seemingly insurmountable hurdles. I can certainly recommend them for any person harmed by another’s negligent actions."